The arrival of SEPTA's new payment technology system, SEPTA Key, has been delayed so many times during the course of its development that Philadelphia residents have learned to temper their expectations. As cities across the United States jettison outmoded token and fare systems, Philadelphia remains the nation's last major city to operate its public transportation system using tokens. Though it's hardly a definite, set-in-stone debut date, SEPTA officials emerged from a board meeting last week with an anticipated rollout in April 2016, more than two years after an original target at the end of 2013, according to PlanPhilly. 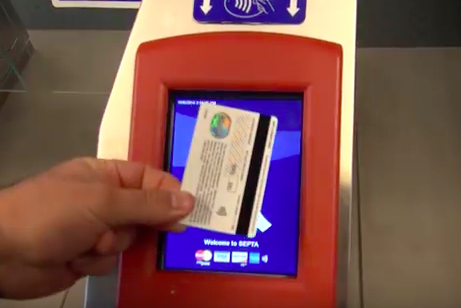 SEPTA Key, which will work using contactless fare cards or smartphones with NFC technology, has been in the pilot testing phase since February 2015. It's been delayed – among many reasons – by the discovery and correction of more than 400 bugs. Outstanding issues at this stage primarily involve accounting trouble on the system's back end, according to SEPTA Key Project Manager Kevin O'Brian. In a detailed examination by PlanPhilly this week, the seemingly endless wait for SEPTA Key to get up and running is placed in perspective given the scale of the project and the intention to create a system that can be readily adapted without an overhaul well into the future. When SEPTA released its Request for Proposals (RFP) in 2008, the signs of a lengthy and complicated process were already evident with 26 modifications to its bid documents and funding sources yet to be determined. SEPTA didn't yet know what technologies would be needed to pull off a system capable of integrating all of its five transit modes (bus, subway, trolley, regional rail, and the Norristown High Speedline), which is more than most big cities which tend to have two or three. Even after SEPTA signed its contract with ACS/Xerox Transport Solutions, Inc., in 2011, an additional 10 formal change orders were made to amend the technical specifications of the project. As development progressed, SEPTA and LTK Engineering Services, the consulting company hired to draft SEPTA Key documents, discovered they were dealing with an initiative much more daunting than their initial projections. The early debut estimate likely reflected a tough market for projects of this size whose expertise enables bidders to bargain hard, over-promise on delivery and limit liquidated damages for delays. Despite overhauled fare systems in cities from Pittsburgh and Cleveland to Boston and Chicago, O'Brian points out that each of those cities experienced delays of 1-5 years and in some cases dealt with significant complications. All told, SEPTA General Manager Jeffrey Knueppel said SEPTA Key's software entails millions upon millions of lines of code. From a physical standpoint, across all modes, the system requires 1,850 onboard fare processors, 350 vending machines, 650 turnstiles, 550 platform validators, 300 parking payment stations, 480 handheld sales devices, 1,200 offsite card purchase locations and 2,000 card reload locations. In financial terms, SEPTA Key will cost a total of $140.6 million. If the latest estimate goes according to plan, SEPTA Key will be activated in April for weekly and monthly transit pass holders, followed by implementation on regional rail and the phasing out of tokens. Read more at PlanPhilly and watch the video below demonstrating how SEPTA Key will work.